Meditation is great for your body as well as your mind. Did you know that meditating is linked to longevity? Your mind has the power to heal your body AND your soul. When you allow yourself to enter a state of total relaxation and let go of your conscious thoughts, you give your subconscious mind the opportunity to receive the healing directives it needs. Meditation, especially with hypnotic undertones and enhancers, will amplify your body’s ability to heal. 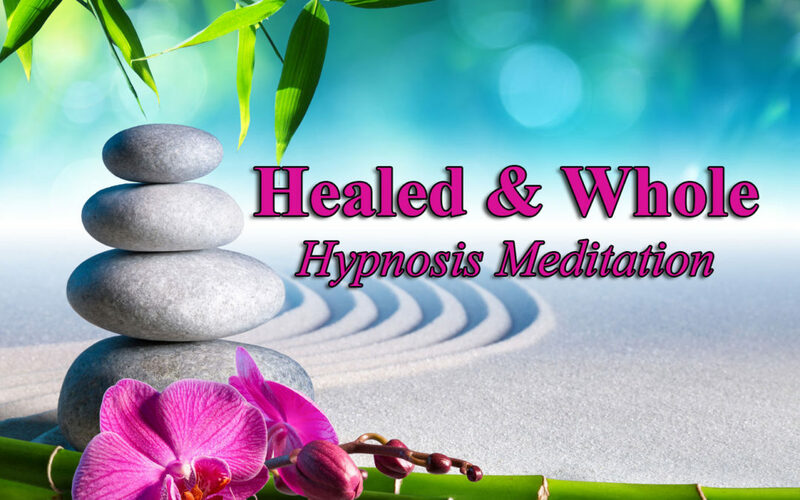 Enjoy the sensation of coming into vibrational alignment with the universe so you can tap into it’s healing energy to restore, revive and rejuvenate both body and spirit in this incredibly effective Healed and Whole Hypnosis Meditation. BOOM ~ I bet you want to marry meditation now, huh?